We all know that when we signed up to be parents, it was going to a lot of work (and that’s an understatement). There was going to be sleepless nights full of frustration, lots of tantrums (not just from kids), endless cups of coffee, and a lot of, “Was I really ready for this?” contemplating. But what most of us didn’t realize when we were pregnant is how expensive being a parent could really be. I mean, we had a bit of an idea that it was going to be a decent amount of money to buy a sturdy crib, but what about everything else? If you’re like me, you were completely taken off guard with just how much money you had to drop on your first child alone (my wallet is still crying). But don’t worry, no matter how far you are into parenthood, it is never too late to make a change, especially with money. Or, if you’re pregnant reading this (congrats! ), I want to give you a couple tips and tricks that you may not be aware of on how to save money on your first born, and on the rest of your kids. I speak from experience when I say I’ve been there and done that with dropping money on my first child, but with number two and three, I was an expert saver! So, if you’re ready to start saving money, set down that wallet, grab that coffee, and let’s begin! Okay, we all know that at baby showers, some of the gifts that people give us are a little weird and crazy (like aunt Heather’s toddler taco booties with a matching burrito onesie that she was ecstatic about – yikes! ), and sometimes, we just know we aren’t going to use the gifts for our baby. Most times the person who offers us a gift will attach a receipt for you so that you may return the product if you don’t like it (make use of this! ), otherwise you can always ask them for a copy of the receipt. Don’t worry about feeling guilty for this, most people who offer baby gifts understand that it’s ultimately up to you and don’t take offense from it (unless you’re crazy aunt Heather – sorry, not sorry). By doing this, not only can you save your child from looking like a walking taco stand, but you can also use that extra money to buy something that your baby really needs, like diapers, a crib, or clothing (and not feel stressed about spending too much!). Perhaps the simplest way to save money is to literally do that – save! Just like how you set aside money for groceries for the month, bills, or an awesome vacation, it’s time to set aside money for your baby! Let’s be honest, kids are expensive regardless if they’re newborns, or 15 year olds. It always seems like you’re dishing out cash for different things to ensure your child is happy, healthy, and have everything they need. Because of this, this tip could actually be used long-term as your child continues to grow (bazinga!). My husband and I did this to prepare for every single one of our babies because we didn’t want to be put in a tough spot financially, and it made everything run much smoother! Start putting aside $50 or $100 each paycheck specifically for your babies gear, hospital visits, food, and so on! This will take so much stress off of you, and make life so much easier on you and your hubby! Remember, it’s not just about saving for your baby, it’s about being savy-spenders in your life. There is only so much ‘saving’ you can do when it comes to buying baby furniture etc as let’s face it, you will NEED to buy a lot of things. That’s where you’ll need to turn up a gear on saving in other areas of your life. A fantastic article I was reading on Debtbusters: Top 5 Lessons About Time & Money, also talked about several great tips for meal planning (which I talk about below) and for saving money in everyday life, and I would highly recommend you have a look at it as well, as she has incredible tips and tricks for saving money. 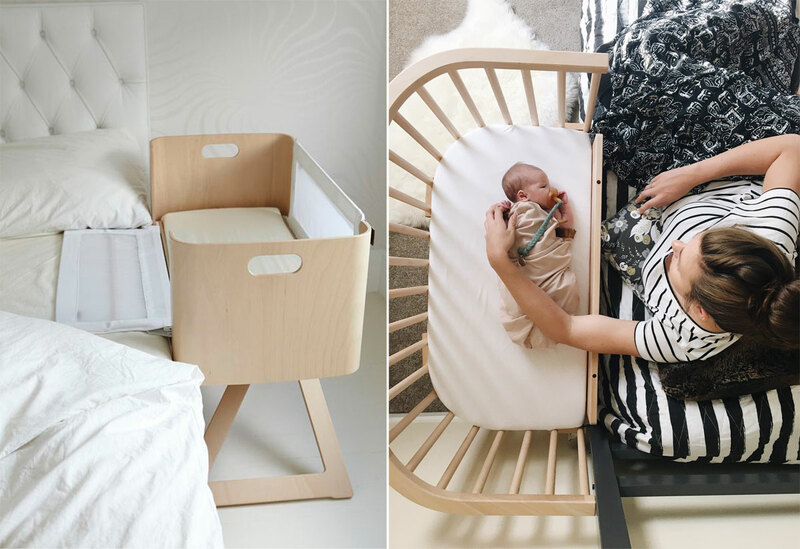 I see so many mothers (and honey, I was one of them) who would buy a crib for their baby to be in at home, one for grandmas, and a travel bassinet for on the go. Ladies, do you ever look down and wonder why your wallet is always empty? This is exactly why! Buying too much baby gear is the easiest way that we are all throwing away cash so quickly without realizing it. When we buy so many different baby products that do the same thing, all our money goes down the drain, because, really, we only need one or two (not all). A lot of our thought process for this comes from society and the media pressuring us to buy certain things if we want to be a ‘good parent’ (and ain’t nobody got time for this kind of fake pressure!). 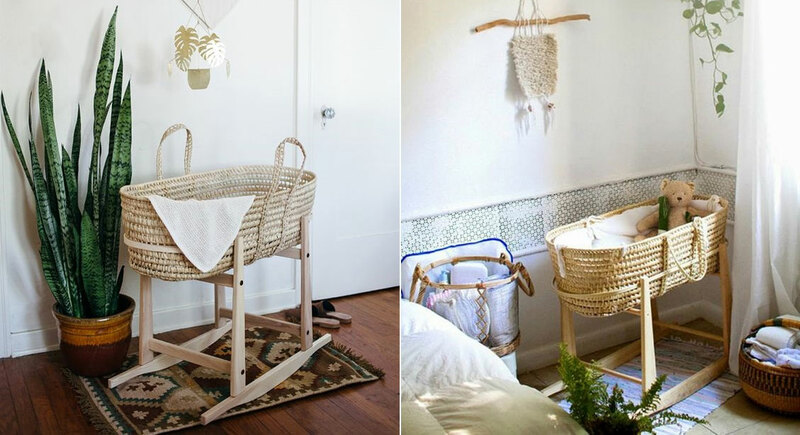 With my second child, I started buying only convertible baby furniture to help me save money. Not only cribs, but things like instead of buying a changing table, I bought a dresser that converted into a change table but could be used as an ordinary dresser after and pretty much anything I could get as convertible! Doing this saved me a ton of space in the house, and got rid of all that sad space in my wallet (if you know what I mean). I would say that the number one thing I would honestly tell you to do when you’re expecting is start asking for hand-me-downs from friends and family. We all know that grandma has saved every outfit of ours that we wore as a kid (and she will continue to show everyone for the rest of our life), and it’s time to ask her to dig it up and let our babies wear them! Baby clothes can be expensive, and it’s tempting to want to buy that adorable tutu or that animal suit for them, but that can be done later on when you have extra money! Right now, just focus on getting the basics for them, and make use of the outfits that have been passed down through the generations. But, hand-me-downs don’t just have to be clothes. You should also see if grandma still has all your old toys or cradles (grandma’s save everything, so you know she does!) and let your baby love and cherish them like you once did! 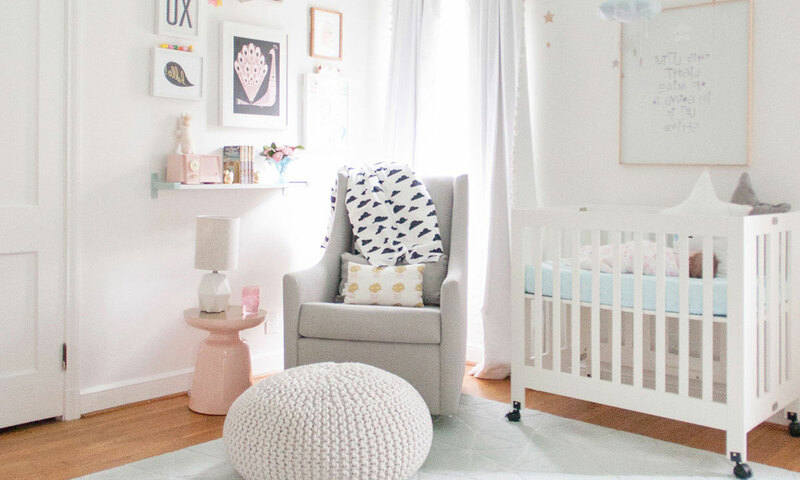 You baby is going to love it, and you’re going to be saving a ton of money, so you will too! Oh and think about this for a second… hand me downs don’t always just apply to baby or kids clothing. Spending money on clothing, shoes, bags and accessories can be us (as women) one of our biggest pitfalls when trying to save money. Hence why hand me downs for adult clothing is always a good idea if you really want to save up in preparation of having more money to spend on your newborn baby and all that they require. Those that are really good at saving money and budgeting will tell you this in no time. For instance, I read this blog about small things you can do to save money, and the post about Hand Me Downs. Ladies, its time to re-think your fashion budget, not just on your baby, but on yourself aswell. If you came to this blog post thinking I’d be able to tell you 1000 ways to save money on baby products, it simply doesn’t exist. Let’s face it, there is only so many ways you can actually ‘save’ money on baby products etc, so it’s more about organizing yourself and your mindset in being frugal and looking for other ways to save money in life. There is literally a millions ways you can save money in your day to day life. Yes, it will take a bit of research in the beginning to learn how to save, where to go, where to buy from and how to get the savings, but it’s all worth it in the end. Once you become frugal, you can become a bargain hunter in no-time. Remember, you don’t have to make your own ways to save, there is so many helpful resources and blogs online that tell you how to save money (and make money) for that matter. I can’t recommend enough, Ashleigh from smartcentsmom who shares so many easy ways to save money. Take these tips now (like right now) and start saving. Put your savings away in physical terms in a separate jar so you can physically see how much you are saving on a weekly basis. There is many other ways to make your life more frugal and will help balance things out when you have to spend more once bub arrives. Which, when it comes down to it, is really a change of mindset. Lindsey also covers this in many of her blog posts, the one I think is most relevant to get expecting parents on the ‘save train’ is her article, How to Get the Frugal Mindset. As I mentioned many time on thinkbaby.org, we are huge advocates of all in one cloth diapers. If you want to save money, this is the #1 way you will save money when having a baby. Stock up on the best cloth diaper brands we recommend and you will literally (and I mean literally) save yourself thousands of dollars. Parents don’t actually realize the amount of money they spend on diapers as people generally buy them on a weekly basis. If you did a tally on how much you actually spend, you will be surprised. But not only about saving money, we have discussed in our blog post here about the harmful chemicals in disposable diapers and why organic cloth diapers are the best for your baby. Breastfeeding is the kind of thing that children need in order to grow strong and healthy, but sometimes, we tend to take it away from them too quick so that they don’t get attached to it. But don’t get me wrong, if you have no other choice then don’t even listen to my advice. I understand and appreciate that breastfeeding isn’t for everyone. But many moms, choose not to breastfeed. Because of this, we often throw away a lot of cash that we could’ve saved for longer than we do. Some women, like myself, are quick to buy things such as a breast pump or a bottle, but this can cost you tons of money if you aren’t careful. I speak from experience when I say that I bought a breast pump, and that almost $500 out of my budget within a matter of seconds (What. The. Beep. ), crazy, right? Remember, the absolute best way to save money is to just keep it simple, and keep them on your breast milk until you absolutely cannot do it anymore. This will help you and your baby bond for longer and in ways that using a bottle never could, and you’ll save hundreds in the process (woop, woop!). And if you are struggling to find inspiration, connect with other momenterpreneurs via the The Mommypreneur Company for everything you need to know about how to start a business whilst still be a mom. Sieria who runs the website is a very inspiring young momma that will help you in every step of the way of starting new your journey. And once you have your little baby in your arms and they are growing strong, there is certainty ways to continue saving money. When they start on solids, this is a great opportunity to save a ton of cash each week (EACH DAY IN FACT!!). I know this statement has a lot of parents going, “I can’t do that!”. Actually, yes you can. Making baby food is oh so easy because of the limited amount of ingredients with it, and you can make it in bulk! I started doing this with my second child because we were spending way too much money on baby food alone (I’m talking like several hundred per month), and knew there had to be another way to do this. All I do is heat up some vegetables, toss them into a blender, and then just mash them up with a fork to ensure that it is mushy enough for a babies soft little mouth. I can honestly tell you not once have my babies choked on my homemade baby food, and they seem to enjoy it more so than store bought food (because, of course, I am a fantastic chef! Gordan Ramsey, where you at?). This is ideal for picky parents like me who want to know every detail of what my baby’s food is made of and exposed to, and now you will always know! And with this, you will have plenty of extra money that you can save for future family trips, or special occasions, so really, who’s the real winner here? And whilst we are talking about expecting, for absolutely everything (and I mean EVERYTHING) you need to know about pregnancy and birth, I can’t recommend this blog enough, check out LaborTeen.com for everything you need to know for the upcoming arrival of your little one. Overall, there are many different ways you can save money as a new parent in preparation for your newborn. The important thing is just to be smart with your money, do your research, and don’t fall for all the marketing ploys that tell you what you need to buy for your baby in order to be a good parent. Overall, simplicity is the best, and your child won’t care in the end. Be smart, keep it simple, and just enjoy the crazy and exciting roller-coaster of parenting! And don’t forget during your nesting time, it’s also a time to be prepared, not only financially, but to get some things done to free up your time and mental energy once bub arrives. For some things you should aim to do before baby arrives, check out this blog post, Nesting by thehappywholesomemama.